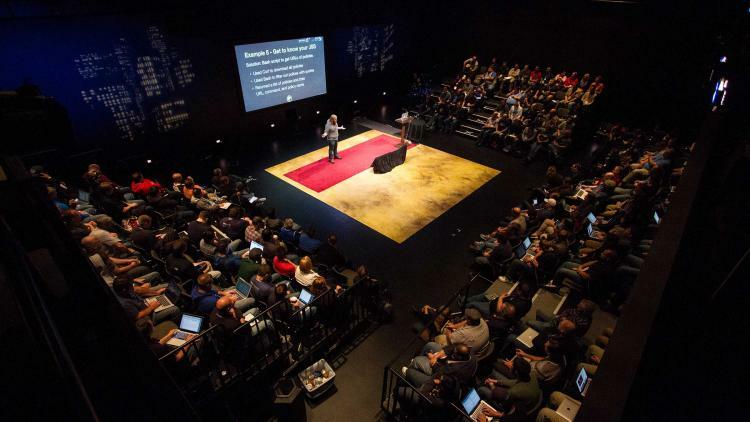 Education and technology met on the JAMF Nation User Conference (JNUC) stage as Brad Schmidt examined how the Casper Suite's REST API can benefit education organizations. In his 15 years of IT experience in K-12 environments, Schmidt prides himself on automating mundane tasks to save time and get consistent results, whether through traditional means or scripting. In this highly entertaining session, he explored real-world examples from importing asset tags to combating VShare. His overarching theme filled the packed audience in on ways to make their days easier in a candid, easy to digest manner. Schmidt discovered how important it was to automate mundane tasks during his early exploration with the API. “If it takes an hour to complete a manual project, your hour of time is better spent automating it,” explained Schmidt. He elaborated by sharing a clip of R2-D2 communicating with a star ship to illustrate how the API is much safer and easier than digging through the database in MySQL. The clip was met with roaring applause. By default the JSS will output XML, but he assured the audience of the importance of choosing the method that is right for them. The API is flexible enough to give users the personal language preference to get the return they need. He elaborated on this this point by sharing real-life scenarios on how he has used the API. Schmidt has a CSV file of all the asset tags from his vendors. He runs a script to import them into the JSS, taking record by serial number in the CSB. He explained many options for accomplishing this, including enlisting technology staff and students to manually wipe the devices. The actual solution involves a barcode scanner and a bash script, which presents a GUI input asking for the asset tag. The scanner enters the asset tag and the script uses the GET command to look up the serial number, then a PUT command to trigger the wipe command. The obvious benefit of this approach is the devices are wiped on your terms. Imagine a student has downloaded a restricted application that locks them into Notes until the application is removed. How do you fix it? Schmidt recommended writing an “app” using Python and TKinter using the JSS match function. In order to identify the impact of a bug in the JSS, Schmidt used Curl to download all policies (more than 500), then used Bash to filter out policies with the particular bug he was seeing. The script returned a list of policies, their URL, the command and the policy name. He also used this same methodology to determine which packages needed to be used for an imaging configuration. Schmidt grew tired of pulling manually pulling reports and sending them by email. To improve efficiency for all people involved, he knew he needed to automate the JSS reports to key people in his organization. To do so, he used the Google Sheets API to write a Python script to export an advanced JSS search into a Google Sheet. All of the documentation for this example is on GitHub. Of all the lessons Schmidt learned approaching these real-life scenarios, the primary lesson was to make sure the logic is in place before scripting. To him, it was very important to have a test JSS environment with actual production data to test the scripts. He recommends some form of git/version control and testing often. Check back in a few weeks for the video to see his presentations slides and a full list of all of the awesome resources he uses!